Schweizerzug AG is again increasing its train frequencies between Switzerland and Belgium. The service between Frenkendorf (near Basel) and the Port of Antwerp will run four times a week starting 2 February. A month earlier, it increased the frequency from two to three services. 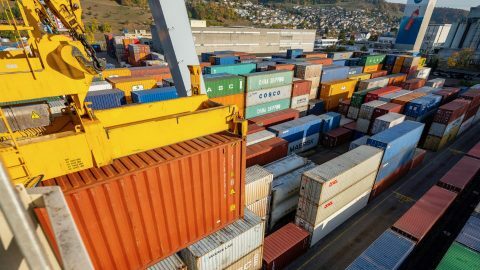 The rapid expansion has everything to do with strong customer and market demand, the Swiss rail freight operator noted. The latest addition to the Schweizerzug schedule will offer shippers in Switzerland and neighbouring countries more reliable and flexible transport options. Through Schweizerzug’s daily services between Frenkendorf and Niederglatt (near Zurich), shippers in eastern Switzerland benefit from a wider range of transport options. With the previous round of expanded services at the start of the year, Schweizerzug successfully targeted and resolved cargo backlogs. These were caused by low water levels on the Rhine in 2018; this resulted in a significant shift from ship to rail, leading to capacity crunches for rail transport providers across Europe. The January introduction of more frequencies between both the Frenkendorf train terminal and Niederglatt to the Port of Antwerp also improved key performance factors for customers – including reliability, stability and punctuality. The Schweizerzug network feeds into the Antwerp Gateway 1700 terminal, which is operated by DP World. The Antwerp Gateway 1700 has connections to all of the terminals at the Port of Antwerp. Alongside direct services to the Port of Antwerp, Schweizerzug offers three scheduled services per week via the German hub in Neuss to the Port of Rotterdam as well as the Port of Antwerp. From Neuss onward, shippers have the option to connect with both ports via both inland ship and rail.